I continue to be enchanted by the magic that lives within soil. There is much more to soil than being a medium to support roots and hold a formula blend of chemical fertilizers. A healthy biologically active soil has more abundance and diversity of organisms than in all the other earth ecosystems combined. Soil Organic Matter (SOM) nourishes and shelters all this activity. Over millennia it becomes filled with countless miniscule pores that store a variety of readily available nutrients. Tiny rootlets and fungus filaments can efficiently forage through these pores to select the precise nutrients required. The result is the crumbly Tilth that farmers so covet. Despite soil being abundant and nearby, less than 10% of this incredible diversity has even been described, named and catalogued. The plants that nourish and shelter people have spent millennia developing resilient relationships with the living soil. Insects, birds, animals and humans have also evolved alongside this complex process. Scientists are far from understanding how all this works. The magic is that all this works so well to benefit so many diverse species. The end result is the Terroir that thoughtful diners long for. I find it presumptuous that over the past century some “experts” have determined how to make all this more “efficient” – and their bosses have pocketed a lot of money in the process. Yes, the current cost of food has been reduced. But this has been done at the cost of significantly depleting our soil’s organic (carbon) matter and the reserve of nutrients in the soil’s pores. Plant health is compromised making it prone to pests and diseases. Plus less flavourful food leads to excess use of sugar, salt and fat which then leads to diabetes, hypertension, and obesity. Then soil texture degrades leading to less water-holding capacity leading to more draughts, floods, erosion and desertification. There is no quick or inexpensive way to bring back the magic of biologically active soil. In the past hundred years, Canada has lost over half its valuable topsoil. But with time, appropriate inputs and new practices, we do not have to wait for millennia to replace what we have been recklessly depleting over the last few decades. 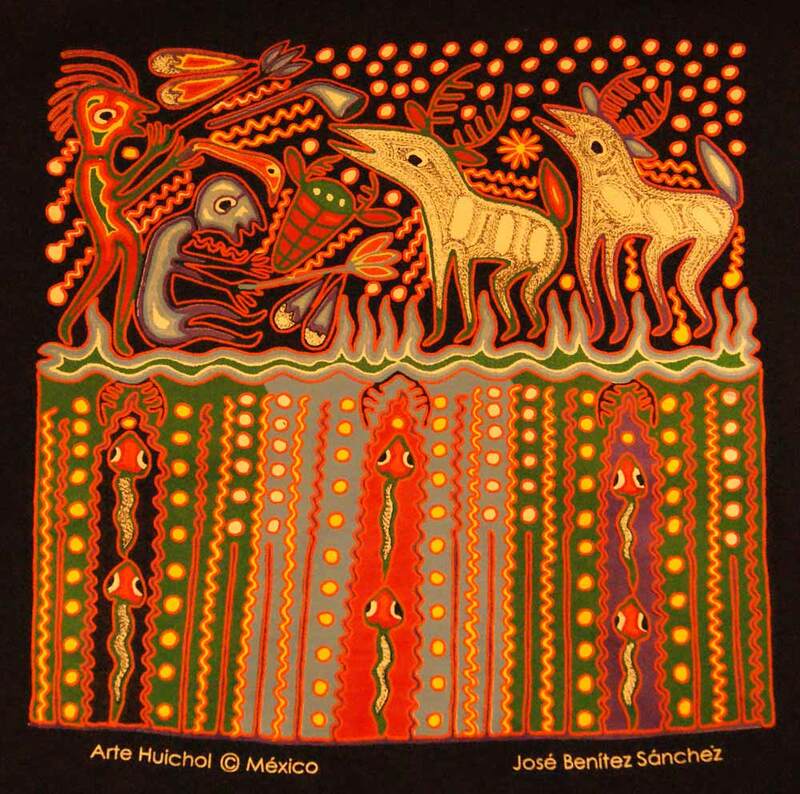 This Huichol Yarn Painting is my favorite depiction of soil-life. This understanding is persuasively presented in Deborah Koons Garcia’s new feature length documentary, Symphony of the Soil. The Toronto Farmers’ Market Network is presenting this eloquent film in Toronto’s Royal Cinema on May 29th at 7:00. You will see and begin to understand the amazingly complex and fragile relationships between the earth’s geology, soil-life, plants, and people. I was pleased to see that more about the relationship between Soil, Food, Urban Sustainability and Community Health was presented by New York’s Experimental Collective Cuisine. Good food chefs continue to recognize the link between flavourful ingredients and healthy soil. Only four weeks after first enforcing a new definition of “Local Food” – produced less than 50 km from the end-user, the CFIA issued another (interim) definition. Toronto’s Real Food for Real Kids and Alliston’s Burger Joint can now get back to supporting Ontario suppliers; and regional growers can continue producing local foods for their nearby customers. “Local Food” is now defined by them as from within a Province or within 50 km of a neighbouring Province. This is more acceptable, but still does not address all the issues. The Highland Companies still owns the Mega-Quarry land and the present Provincial Policy Statement still allows for another application to proceed. The work supported by many thousands of both urban and rural folk is not yet finished. 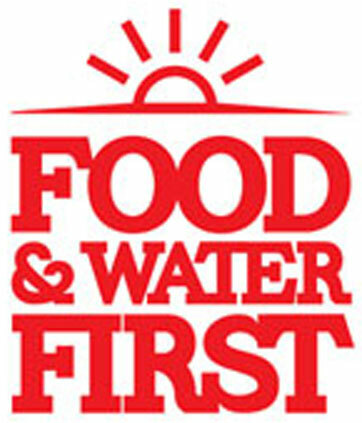 To permanently protect our source waters and our agricultural lands, the NDACT team is now starting Food and Water First. Order a sign and mark your calendar for their first big celebration on August 18, 2013. Look for this sign popping up in front yards across Ontario. 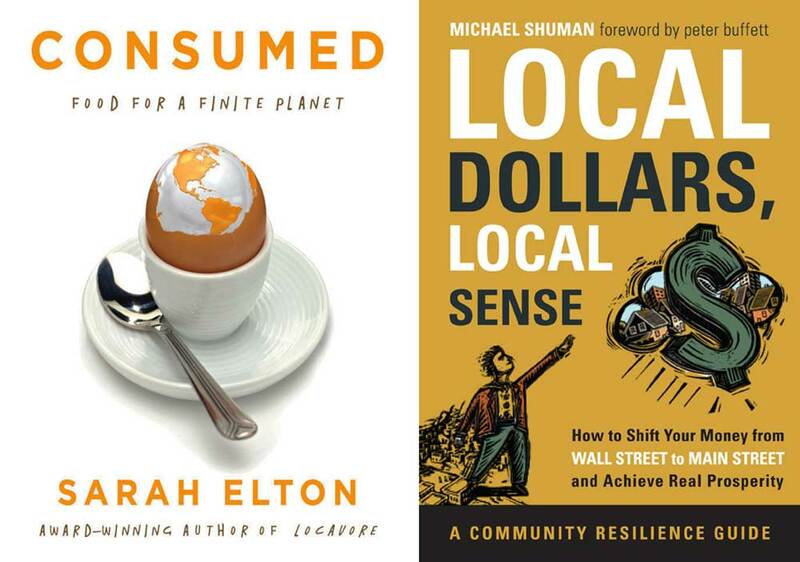 If you plan on reading about local food this summer, there are two books to consider. They may be read as Science Fiction, but these proposals may come true sooner than we can imagine. Toronto’s Sarah Elton has come up with another masterpiece to follow Locavore. Her new book, Consumed, is written in a similar easy-going style; but it is by no means a casual topic. Sarah traveled around the world to learn how people are creating innovations that might keep the world well-fed in 2050 – when we expect to be feeding 9-billion soles in a more challenging environment. We should be supporting sustainable food systems for many reasons. To begin with, sustainable agriculture is simply better for the environment. The industrial food system does not offer us a long-term solution to feeding the planet because it destroys land and soil, consumes too much water, emits tonnes of greenhouse gases including carbon dioxide, and is utterly dependent on fossil fuels. Sustainable or regenerative agriculture, on the other hand, produces food at the same time as it provides society with ecological goods and services. Sustainable agriculture helps to conserve water, it protects the soil from erosion, and it nurtures biodiversity by creating a hospitable habitat for pollinators rather than killing them with pesticides. Two local food books to select for your summer reading. Following his recent keynote for FarmStart, MaRS, and Sustain Ontario’s Food Farms and Fish Finance Forum, I enjoyed dinner with Michael Shuman. This forum was a terrific early step in identifying agreements between many concerned participants to bring improved access to capital for our local farmers and fishers. If you can’t have dinner with Michael, you can at least partake of the wisdom in his latest book. Despite huge government investments to promote global export business, local jobs and income remain essentially unchanged. Meanwhile, nearly all of our savings go toward global investments (which no longer bring good returns). Those of us in the local [food] economy are all too aware of this. And it makes no economic sense. These policies are the result of steps made in the 1930’s to protect investors from abuses during the 1920’s. The result is that 99% of us are forced to invest our savings through the 1% of wealthy accredited investors. And they cannot be bothered with small-scale local investments. 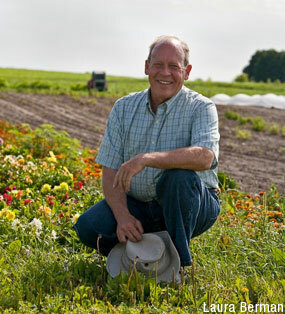 Most Ecological and Organic farmers continue to feel the NFU-O represents their interests better than the other GFOs. Farmers may still support the NFU-O and still have reduced property taxes. Join one of the two remaining GFOs (Ontario Federation of Agriculture (OFA) or Christian Farmers Federation of Ontario (CFFO)), and then request a refund. You could just put this money back in your pocket; but everyone I have spoken with will forward this refund to his or her NFU-O office. Click here for detailed instructions.